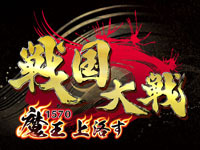 Sengoku Taisen 1570 : Devil of Shangluo is the title of Sengoku Taisen 1560 update that is out today. The war continues to ravage Japan. The daimyo Oda Nobunaga takes gradually the powers of the shogun Yoshiaki. This one forms an anti-Nobunaga alliance with other daimyo to stop his conquests. Nobunaga kills with no hesitation many civilians (mostly women and children) to achieve his goal and thus earns his nickname of Demon King. Two new forces appears in the game: Asai Asakura clan and Hongan-ji, a school of Buddhist monks. Kana Hanazawa and Tomokazu Sugita, two popular "seiyÅ«", double the new characters. A hundred new cards were made for this new edition, the former are of course still compatible. Balance adjustments were made â€‹â€‹to make the game easier to play and now the "sniping" function is available for firearms. 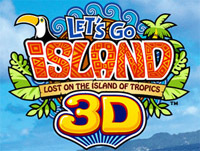 3D version of Let's Go Island - Lost on the Island of Tropics is available now in Japan. Let's Go Island 3D features two atypical characters: Beth, an unpopular girl and Zack, an useless guide, which will meet in an adventure filled with sea monsters, insects and other killers crustaceans. The main innovation is of course the 3D effect with no glasses required. Sega has opted for a stereoscopic 3D display: once inside the cabinet, the players are literally immersed in the action thanks to the 52" 3D screen but also because of the wind gusts blowing on their face. 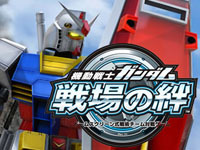 Gameplay is similar to the standard Let's Go Island: shooting the same enemies and passing mini-games with the action button will increase compatibility gauge between partners. Let's Go Island 3D runs on RingEdge. 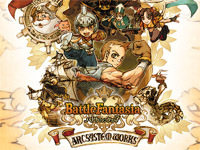 Battle Fantasia, developed by Arc System Works is out today on NESiCAxLive (Type X ²). 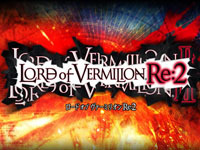 The release date was originally scheduled to December 9 2010 but various time-cons have delayed the release. 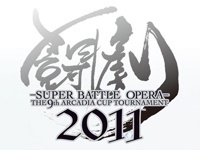 As a reminder, Battle Fantasia is a fighting game taking place in a fantasy world which characters and stages are in 3D but gameplay is like in 2D fighting games. 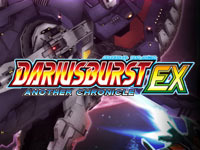 It was released first in April 2007 on Type X² and was later adapted for consoles. It's Emiko Iwasaki, which was already art director and illustrator on Guilty Gear series, who was director during Battle Fantasia development. 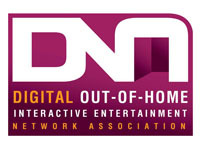 Here's the final line-up of speakers at the DNA conference (for Digital out-of-home interactive entertainment Network Association). The keynote presentation will be given by Randy White of White Hutchinson Leisure & Learning Group. 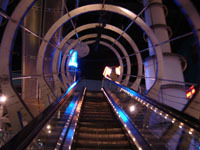 Gabi Salabi of Triotech Amusement will unveil the next interactive cinema 7Di XD Dark Ride. Benoit Cornet, CEO of Belgian company Alterface will present the new Interactive Dark Ride platform, Charles Voss from Trans-Force will outline the successes achieved by his company in the areas of interactive attractions and edutainment (educational entertainment). Arie Vered of EyeClick will demonstrate the latest interactive screens and will detail the possible uses of MotionAware technology and its future developments. Paul Collimore from Animalive will speak about the motion capture system used to make on-screen characters interact with the audience. Duncan Lawson of Instyle Fitness will discuss developments of ExerGaming (exercise video games) as used in fitness centres such as the Aerobike exercise bikes. Martin Charlton will talk about connectivity offered by Cisco, while Patrick Michael (head of Research & Development division at Sega Amusements Europe) will describe how they successfully adapted the console titles to arcade format (having worked with Codemasters and Sumo Digital). Finally, David Young, COO of BMI Gaming will share his observations on current trends and the future of distributors. These sessions will be moderated by Kevin Williams, a well-known amusement consultant and organizer of the event (with Martine Parry). The DNA conference will be held on July 14 at 1 Victoria Street Conference Centre in London (United Kingdom). It will begin at 10 am and will be followed by an evening reception. The number of participants is limited to 100 people but seats are still available at a price of £499. BMI Gaming offers a 40% discount on booking made before July 10. Use the code "SPEAK40" when registering to qualify.